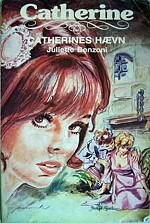 In 1962 the Catherine novels were first printed in France-Soir and other French newspapers. 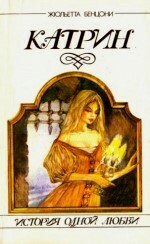 The manuscript fell unfortunately victim to a fire in the house of the author, over 1000 pages. 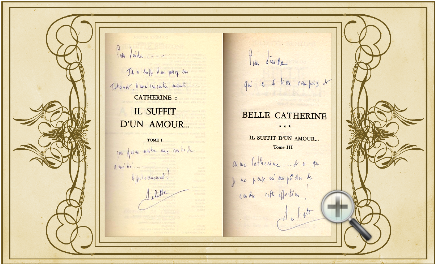 But I have in my possession the original summary of the first two Catherine novels written by Juliette Benzoni and send to Opéra Mundi! 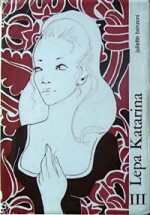 Opéra Mundi decided to publish 2 books. 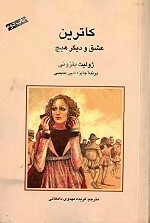 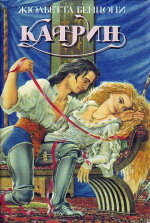 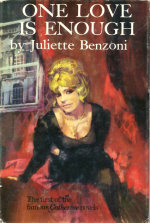 The first novel was called "Il suffit d'un amour I" and the conclusion "Il suffit d'un amour II". 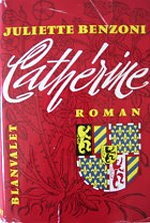 Éditions Trévise added later the name Catherine to "ll suffit d'u amour or "Les Montsalvys". 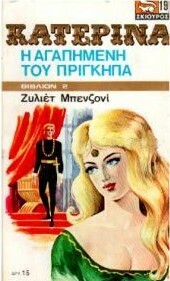 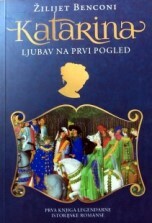 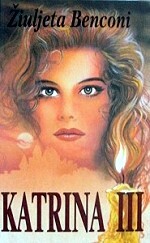 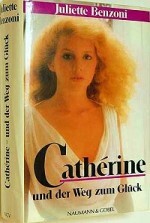 The foreign publishing houses chose various titles for the Catherine series. 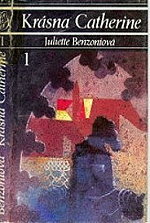 Please click on each book cover above to learn more of the interesting titles other countries selected. 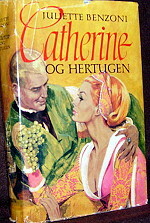 There had been a lot of work involved with the research to discover decades later who published the Catherine novels. 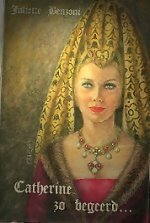 Without the help of many visitors who actually scanned their own covers and sent them via email to me, the list would not be so outstanding and we might never have known how many countries had published the Catherine series. 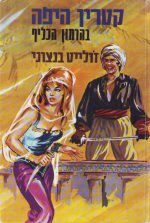 No, there exists not a list on Google books to support what I claim here. 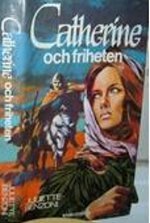 If it does someday, we can assume they took the information from this website or that of my friend Frédérique, whom I call the Columbus discoverer of book covers. 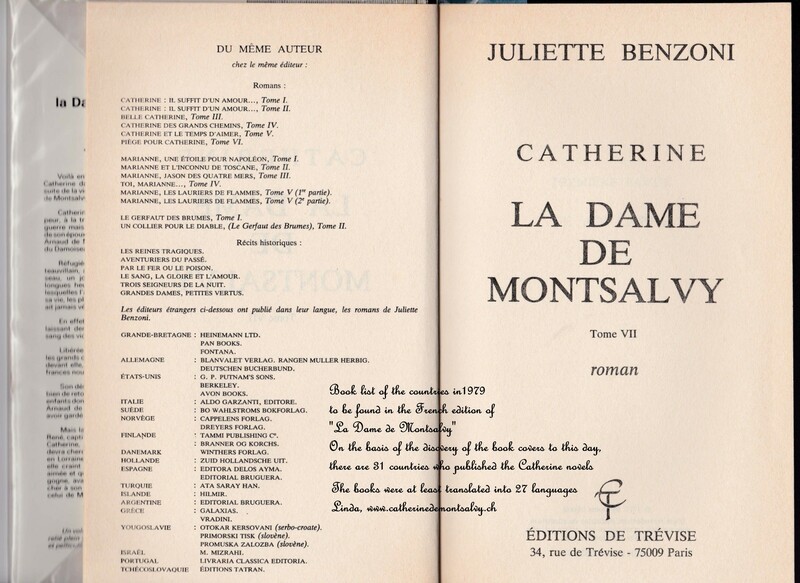 In the 1979 French edition of Catherine, La Dame de Montsalvy, Trévise enclosed 18 names of countries who translated the Juliette Benzoni novels. 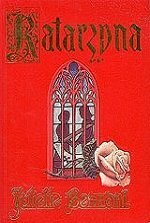 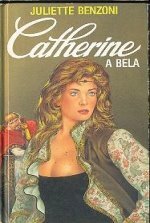 On the list is also Portugal, but we never found a book cover, Yet Portugal translated at that time two of the Marianne novels.. 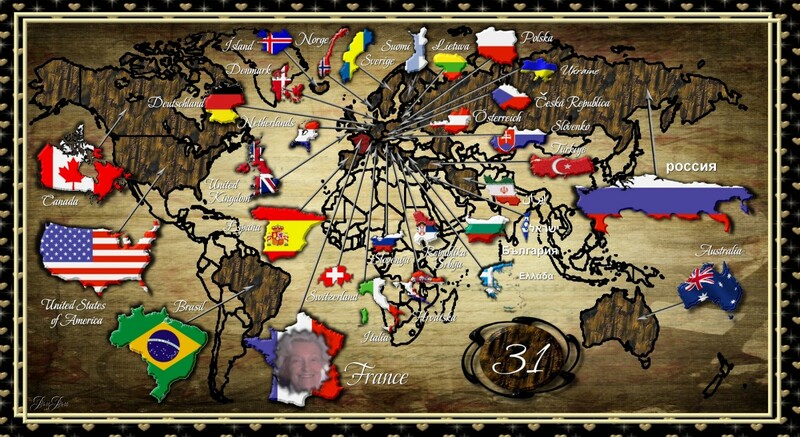 The missing countries on that list are to this day: Brasil 1973, Bulgaria 1994, Iceland 1967, Iran 2004, Lithuania 2004, Poland 1993, Russia 1993, Serbia, 2016, Slovakia 1972 & 1990, Slovenia 1970, Ukrania 1993. 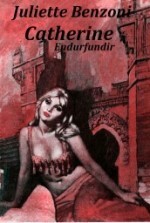 If we subtract from the Éditions Trévise list Portugal and Yugoslavia and add the above new countries we come to the conclusion that the Catherine series was translated in 27 languages and published in about 31 countries. 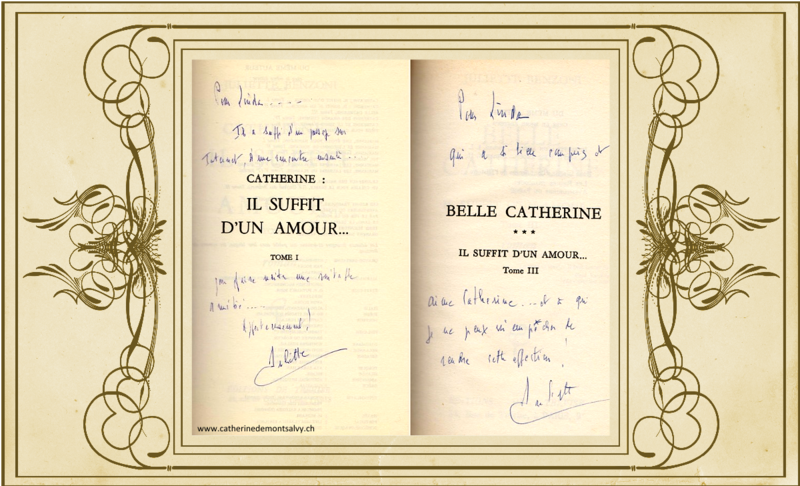 I would like to share these two beautiful dedications of my dearest friend, the late Juliette Benzoni - about my passion for her first international Bestseller - the Catherine Series. 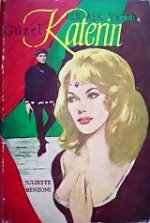 I would like to express my thanks to Aleksandra, Andrea, Frédérique, Marina, Katarzyna, Sagit, Valery, Kristina, Birgitte, Nathalie, Diana and Dmitry for sending me some of the missing book covers. 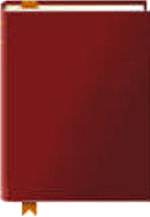 I am grateful for their help - as without them my collection would not be so far advanced.